Time to sell your Heron Landing condo? Read about today's resort-market condo buyer. Heron Landing is approximately 4.5 miles west from the intersection of Highway 59 and Beach Boulevard. The property features deeded beach access across the street, an outdoor pool, fishing pier, boat slips, and pets are allowed. The complex was built in 1995 and consists of 14 individual units. These condos are available in three-bedroom or two-bedroom units ranging from 1,024 to 1,300 square feet. The condos are half of a mile west of the West Pass Bridge, which has small craft access to the Gulf of Mexico with a high enough tide. 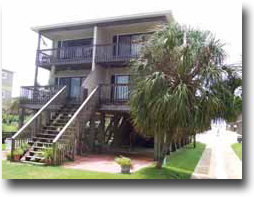 Find additional Gulf Shores condos in West Beach by using our pre-defined search links to view lagoon front condos or gulf front condos. Please let us know if you would like further info for Heron Landing or any other condos, homes, or real estate along the Gulf Coast or would like to schedule a private viewing by emailing info@condoinvestment.com or by calling (251) Area-Pro (251-273-2776) for immediate assistance.